A Boeing 737 Max, the type of plane involved in October's Lion Air crash. In a well researched and timely piece in the New York Times, authors James Glanz, Julie Cresswell, Thomas Kaplan and Zach Wichter went into detail about how the crash happened and the decisions that led up to it. It was extraordinary reporting, in part because the authors were straightforward in their determinations about what happened. In most cases, we’d be critics of such speculation, but in this case, the evidence is so overwhelming it seems like a bad move to wait for the NTSB to finish its report. This next part is background. The technical element to the story is solid. 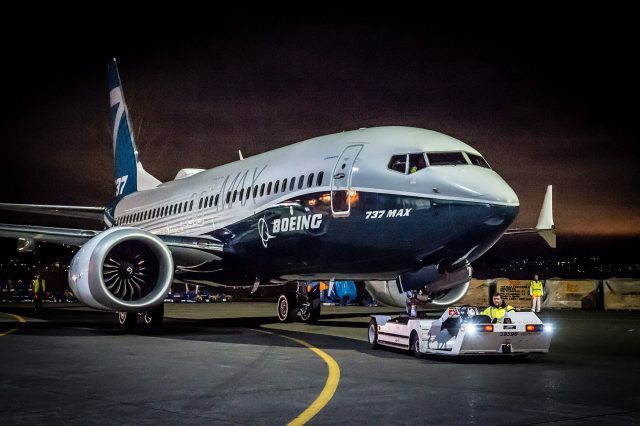 Boeing in trying to compete with Airbus on a more fuel efficient model created the 737 Max, which had larger engines with more weight below the center of gravity, making the plane’s aerodynamic response to power changes more destabilizing than before. To counter this, Boeing introduced a new feature, MCAS, to automatically adjust the trim to counter this effect. To disable MCAS, the pilots need to take specific steps. Those steps are very different from on previous 737s. The Lion Air pilots, the story credibly claims, didn’t get sufficient training in what to do should a sensor fail and MCAS began flying off of faulty air data. Which it apparently did. The resulting loss of control accident, which killed all 189 people onboard, is shocking enough, but the Times piece puts the blame for that crash on the shoulders of Boeing, which it said rushed the new Max model through the process, and the FAA, which allowed the changes without also mandating big changes in the training syllabus. Some have called Boeing’s drive to get the 737 Max approved marketing driven. From the outside looking in, it sure appears to be the case. Perhaps a bigger issue for GA pilots is this: How well do we know our automated systems? What are its failure modes? Look for an upcoming blockbuster story in a coming edition of Plane & Pilot magazine on the actual steps pilots need to take to know their airplane and how to develop a failure mode plan. The other question the Times story raises is this: In a world that is growing ever more automated, how do we, the end users of products, aviation products in our case, know what the software is doing? Will the FAA develop requirements that the manufacturers create transparent failure mode procedures? Such a requirement very possibly could have prevented the Lion Air tragedy. Here’s a link to the story in the New York Times, Behind the Lion Air Crash, a Trail of Decisions that Kept Pilots in the Dark. “with more weight below the center of gravity . . ” misleading and incorrect, because if you add weight below the previous CG, the new CG is lower. What you meant, I’m supposing, is that the more powerful engines, situated well below the CG, cause significant nose-up moment when thrust is increased. How easy is for some “experts” to give opinion here. I would like to see them on the cockpit of that airplane fighting with a flight control’s failure. Lower the pitch guys, be more humble.